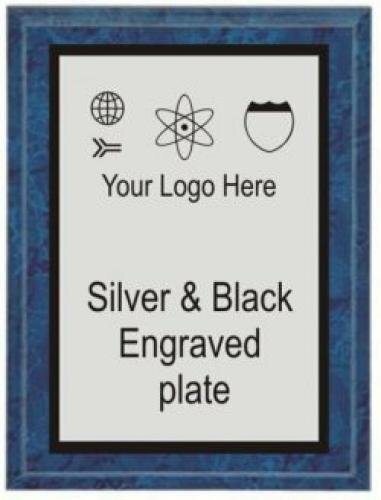 Black plaque has a shiny finish and had a blue marble acrylic engraved plate mounted. 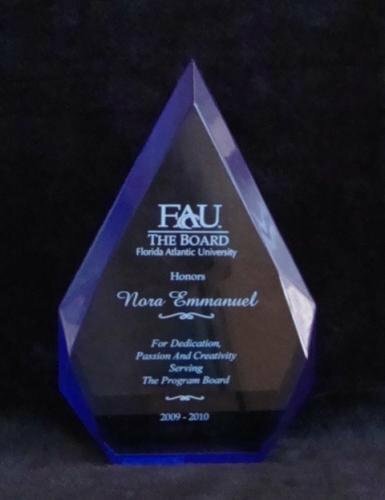 This brings out the best of both - plaques and acrylics. 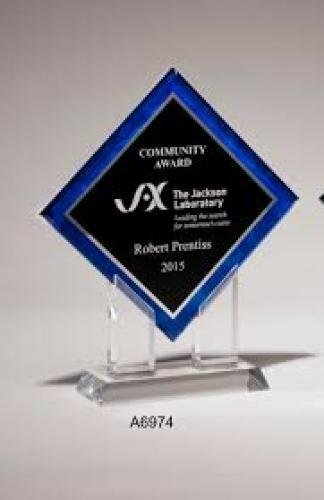 Engraved in the black center, this award looks awesome. Features blue sides and silver accents. 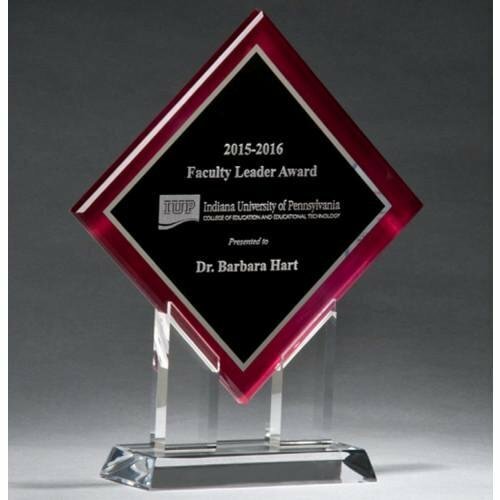 If you need one of these awards quickly, we try to keep it in stock. Give us a call 954-941-5487. This simple clock will be a useful awar to present. 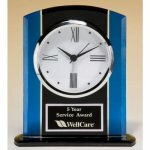 It is a Black and Blue Glass Clock and features Silver Bezel and Three Hand Movement. Engraving area allows 3 or 4 lines of engraving to keep it simple yet elegant. Comes with time set, and in a gift box. We keep this one in stock if you need one quickly. The Blue Flame Acrylic award is a free standing 1" thick acrylic award. 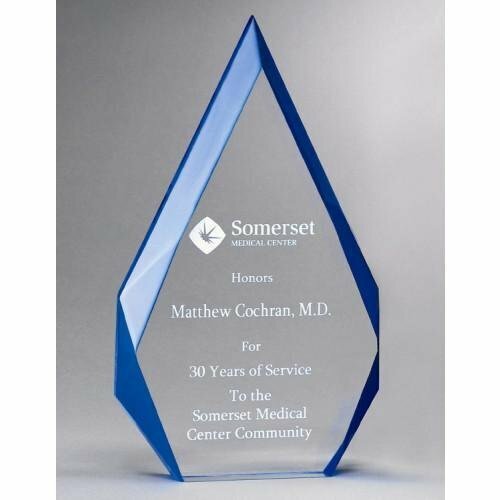 It's a larger award, 10" tall, if you need extra room for engraving. We always have this in stock in the large size if you need one quickly. Blue Marble is getting popular because it is economical yet different. Available in many sizes. 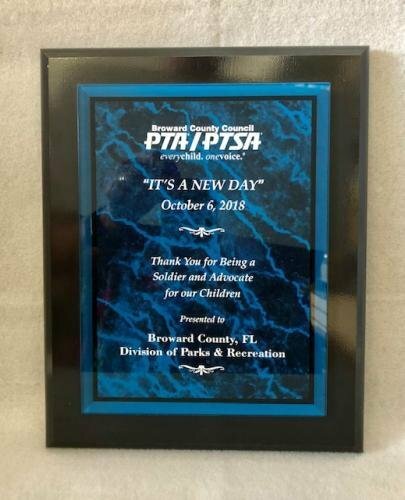 We always have these plaques in stock if you're in a rush. Choose from a 2 or 3 post trophy for the Champion or Winning Team. Your Choice of figurine on top and color of columns. 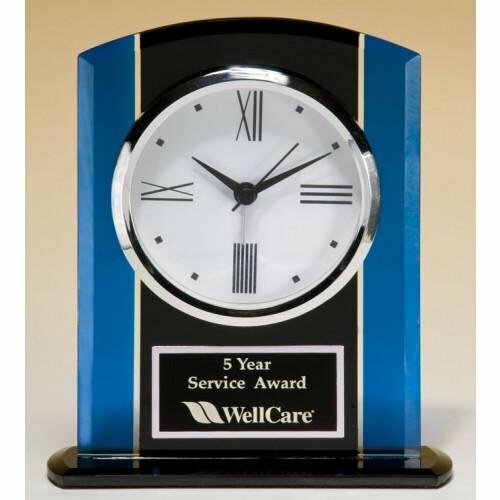 We always have these trophies in stock if you need one quickly. 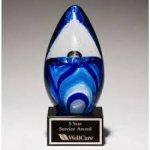 The crystal globe award is perfect for that person who means the 'world' to you. Comes in a lined presentation box. 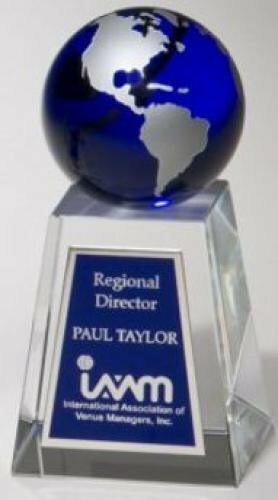 We usually have these awards in stock if you need one quickly. 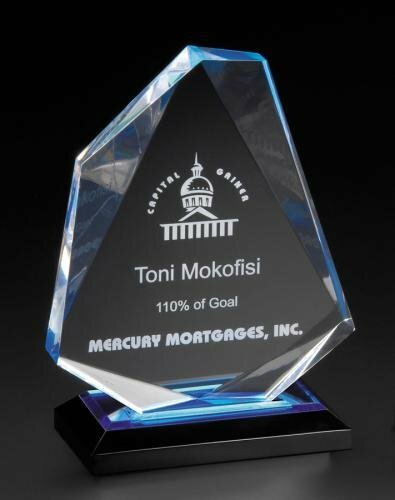 Diamond Series Acrylic features a color border and silver mirror highlights. Avalilable in red or blue. 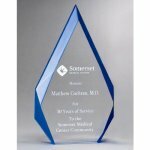 We try to keep this award in stock if you need it quickly - call us to make sure. 954-941-5487.